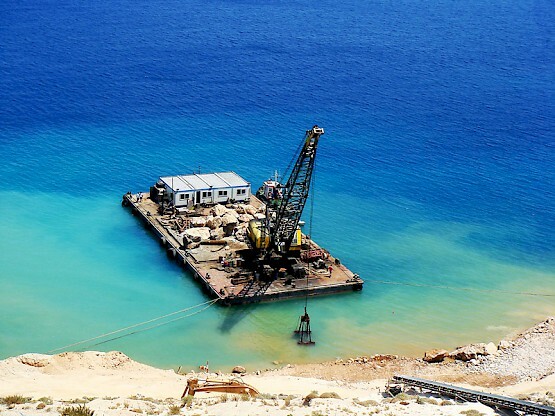 ERGOMARE SA owns today (2015), among others, the two biggest floating cranes in Greece (type LIMA 2400). 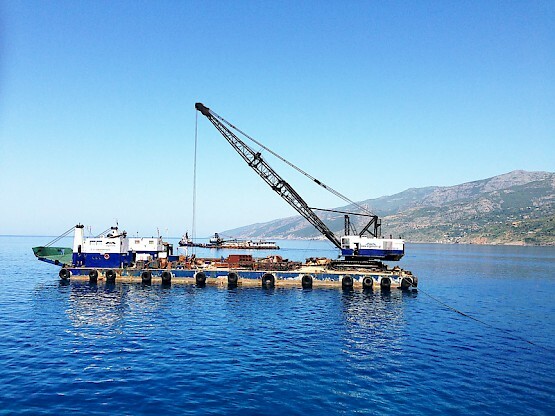 The two “twin-cranes” over all platform dimensions are: 20,00 Χ 50,00 Χ 3,00 (m). 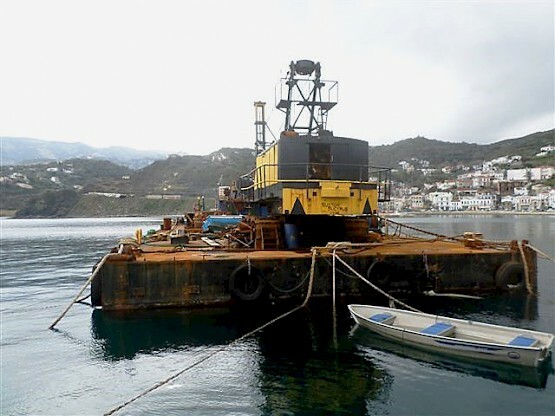 Being equipped with the most appropriate parts of several sizes (buckets, graspers etc) together with power generators, compressors, welding – sets, they offer full ac- commodation even when offshore. Due to the big deck surface, they can carry on board cargo up to 1.400 tons and they are suit- able for carrying large parts (e.g. wind-power generators’ parts) that cannot be carried by other conventional vessels. 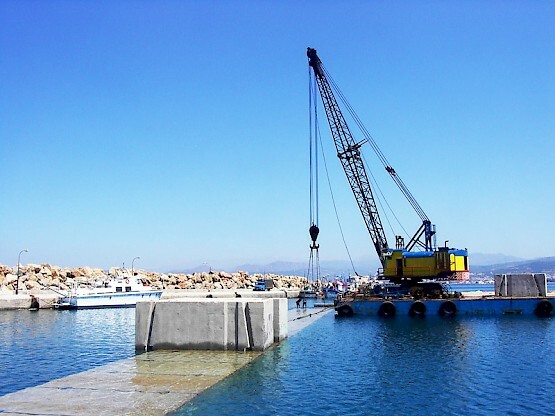 ​ERGOMARE offers the possibility for renting a floating crane, according to their availability.